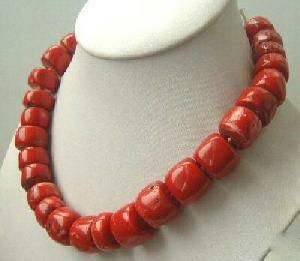 Very pretty necklace with square red coral beads necklace. total length is 18" . It's beautiful.